Creating puzzles from your photos is a fun way to make new and interesting puzzles. For this to work, Jigsaw Box app must have permission to open your Photo Album to let you choose a picture to puzzle. 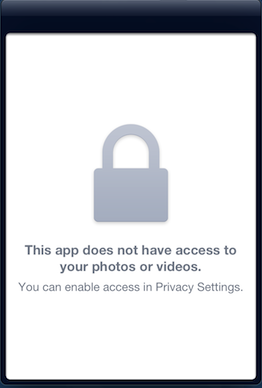 If you see the message "This app does not have access to your photos of videos" you need to give Jigsaw Box access. This is easy to do. Go to your iPad Settings app,and press "Privacy" on the left hand side menu, and then "Photos". In this section turn ON access for Jigsaw Box. Now, when you go to create a puzzle from a photo, it will work!